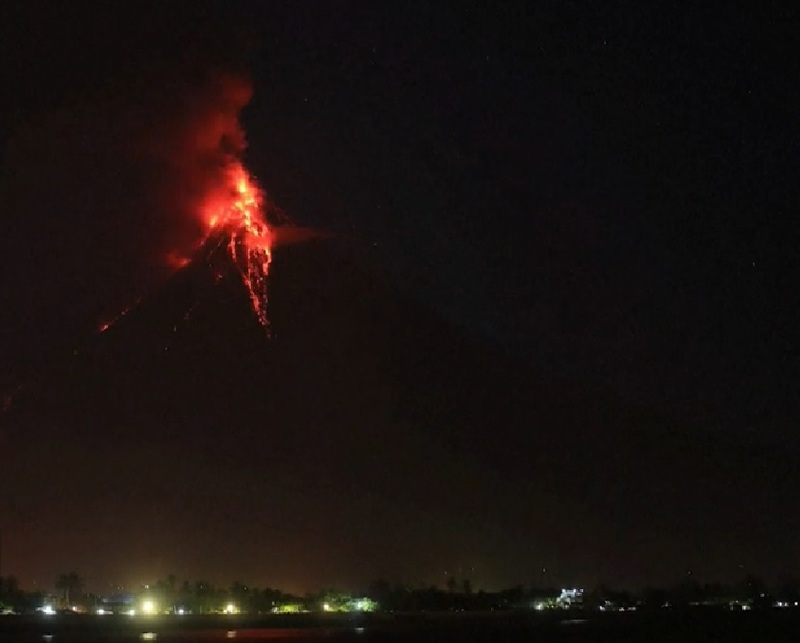 Authorities in the Philippines are warning people to stay clear of the volatile Mount Mayon volcano after multiple eruptions spread lava and ash for kilometres. 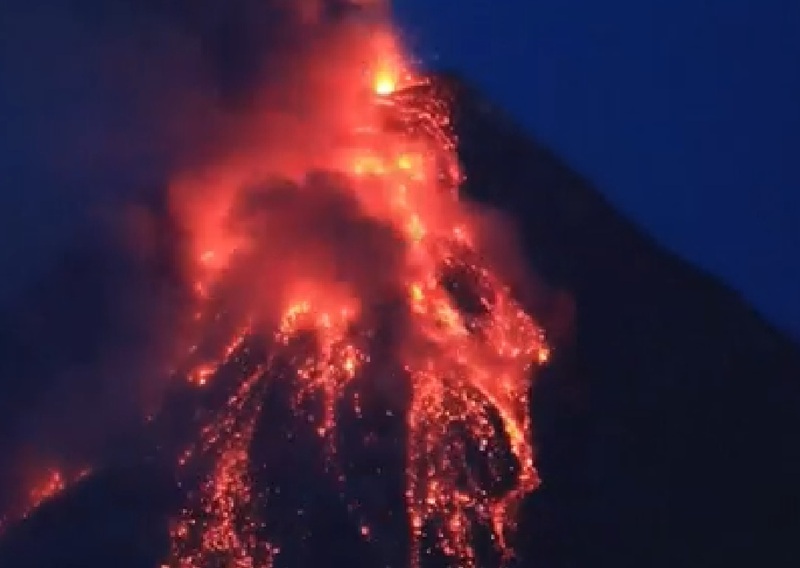 A thick column of ash streamed five kilometres into the air above the volcano, in Albay province in southeastern Luzon, and spread over neighbouring districts, the Philippine Institute of Volcanology and Seismology (PHIVOLCS) said in a statement Tuesday. Falling ash left Guinobatan, a town of around 80,000 people, in a state of "zero visibility," according to affiliate CNN Philippines. PHIVOLCS said it had also detected "two explosion-type earthquakes" as well as dozens of rockfalls and "lava fountaining episodes" in and around the crater on Monday. The alert level for Mayon volcano - the country's most active volcano - was raised to four from three last week after it exhibited increasing seismic unrest and summit explosions. The highest level - five - means a hazardous eruption is underway. More than 56,000 people fled the surrounding areas and were taking shelter in evacuation camps, officials told the AP; the army and police were helping others move from their homes. Lava has been flowing down from the crater since last week.